Kids | What about this? Small shoes sit by my back door waiting for their next adventure. Sorry, no time to write to a blog post today, Charlotte and I are out conquering the world. Check back with What About This? on Friday! Yipee! Charlotte’s coming over and we’re going to have some bubble fun. 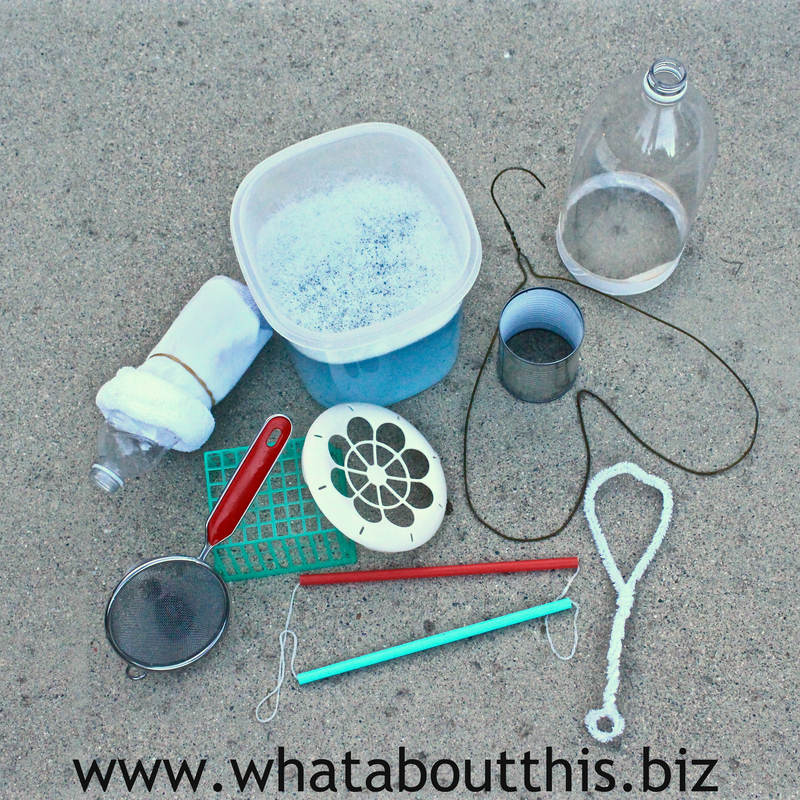 I’ve got everything all set: homemade bubble solution that creates super-duper large bubbles, homemade bubble-making devices, and some gadgets from my kitchen with which to experiment. Who do you think is going to have more fun playing with bubbles, little Charlotte or me? 1. Measure 10 cups of water into the pail. 2. Add 1 cup Joy or Dawn dish soap. 3. Add glycerin. 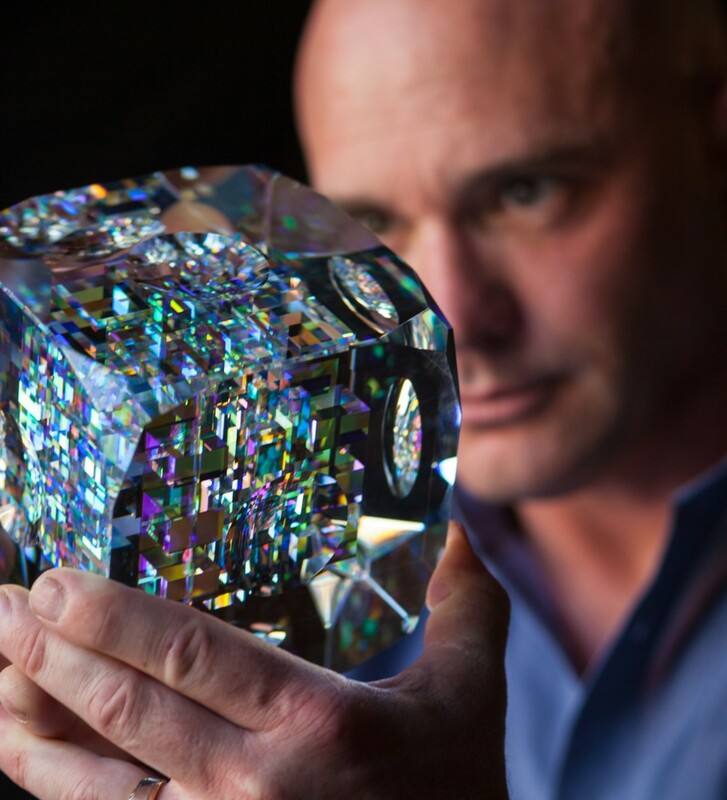 In most atmospheres, it makes the bubbles more durable by reducing evaporation. 4. Stir, but not too much. You don’t want froth on the top because it tends to break the bubbles. If you get any, skim it off with your hand. 5. Gather or make any wand materials. 6. Pour bubble solution into non-breakable shallow containers such as pie pans, baking pans, dish pans, depending on the size of your bubble wands. 7. Select a wand, dip it in solution, and let excess solution drip off. 1. Straws and String: thread a string through two straws and tie a knot at the ends. Move the knot until it is hidden inside one of the straws. 2. Water Bottle and Sock: cut the bottom of the bottle off. Place a sock over the cut edge and secure with a rubber band. 3. Assorted Cans: cut the tops and bottoms cut off. Make sure there are no sharp edges. If there are, you can either tape the edges with duct tape or file/sand them off. 3. 2-liter Soda Bottles: cut bottom cut off and tape bottom edge if there are any sharp jagged edges. 4. Wire Coat Hangers: bend them and form them into different shapes. I bent the handle up at a 90 degree angle to make it easier to dip. 5. Pipe Cleaners: bend them into different shapes. These are a little messy to use, since the fibers pickup a lot of excess solution. 8. Hula Hoop: for BIG-time fun, fill a wading pool with an inch or two of solution and use a hula hoop as a wand. An alternative to this is to have the child carefully step into the pool in the middle of the hula hoop. Very slowly lift the hula hoop up from the solution, until the child is in the middle of the bubble. 1. 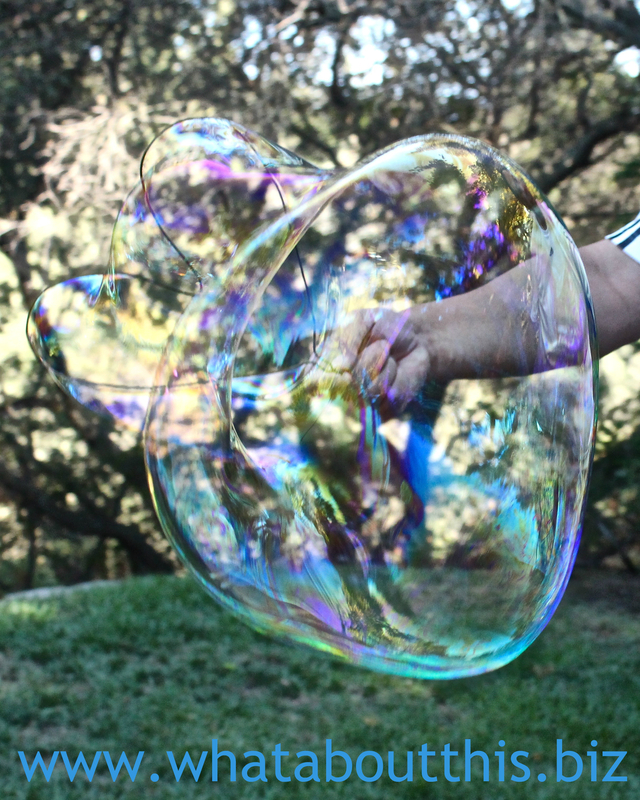 Safety first: bubble activities should always be supervised. Bubble solution is slick and slippery. If any bubble solution gets on the floor, make sure that it does not become a slipping hazard. 2. Make sure that any solution is rinsed off of children’s hands before they touch their face, particularly their eyes. 3. Check for any sharp edges on any homemade wands or kitchen gadgets. 4. 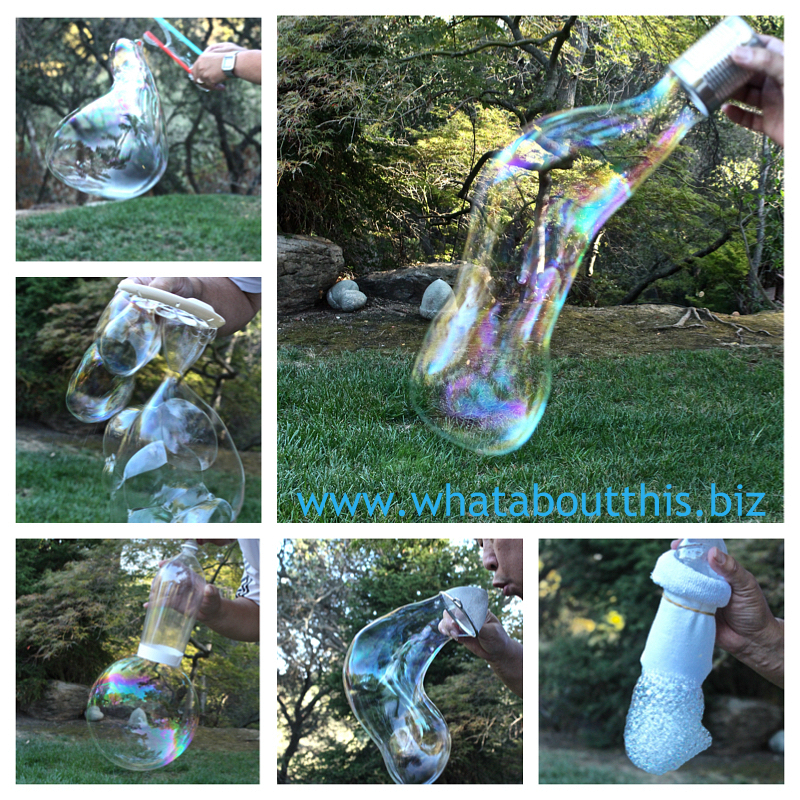 The sky’s the limit when it comes to bubble fun. Use your imagination. “If you could change one thing about your body what would it be?” Responses to that question were captured in this short video and they reveal how many of us become more self-conscious as we age. If you were asked this question, what would your answer be? When my children were young, they would spend endless hours playing with Lego building blocks. Piles of these small blocks would be strewn all over the floor and my children would create imaginative worlds of their own. Now, thanks to Arnon Rosan, adults can still “play” with interlocking blocks. 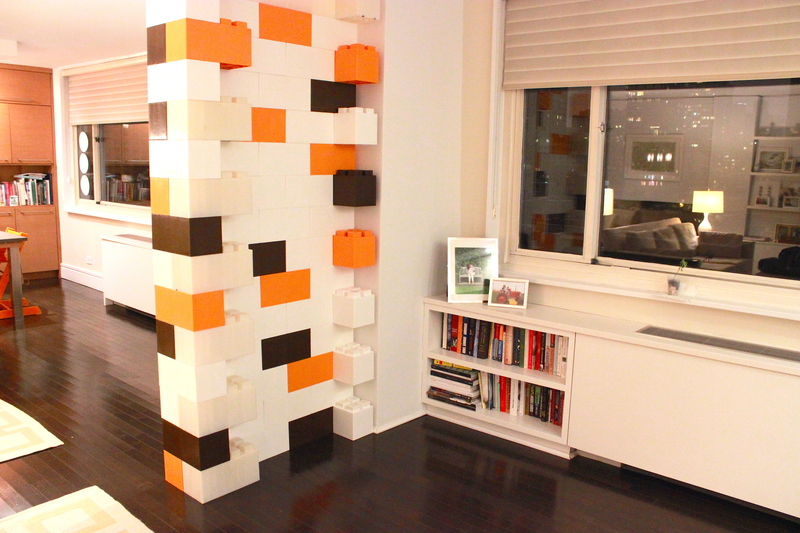 EverBlocks, life-size blocks similar to Legos, can be used to build furniture, room dividers, modular buildings, and even emergency shelters. These blocks prove that you are never too old to play with blocks and, like when you were a child, you are only limited by your imagination. No matter how often I vacuum my carpet, Charlotte always finds a tiny particle of debris on it. Babies have keen eyes, but not as keen as artist Pyanek’s camera lens. 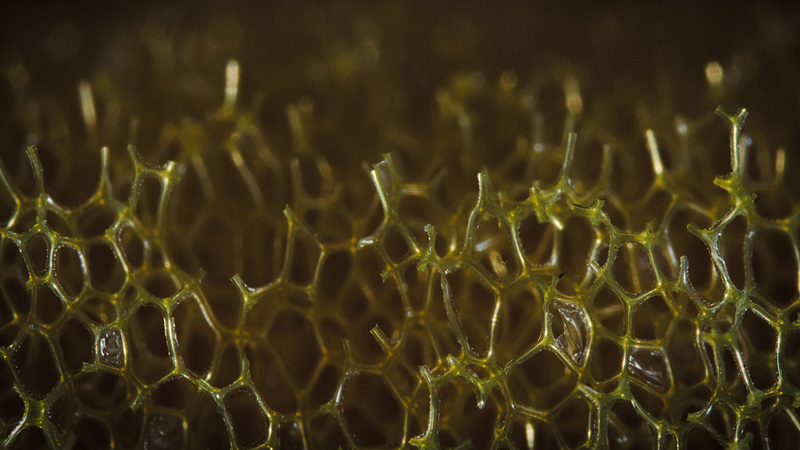 For his project Amazing Worlds Within Our World, he photographed everyday items extremely close-up. You’ll never look at a sponge the same way again. Every night, before Charlotte’s parents pick her up, my husband plays the ukulele and we have a little sing-a-long with her. 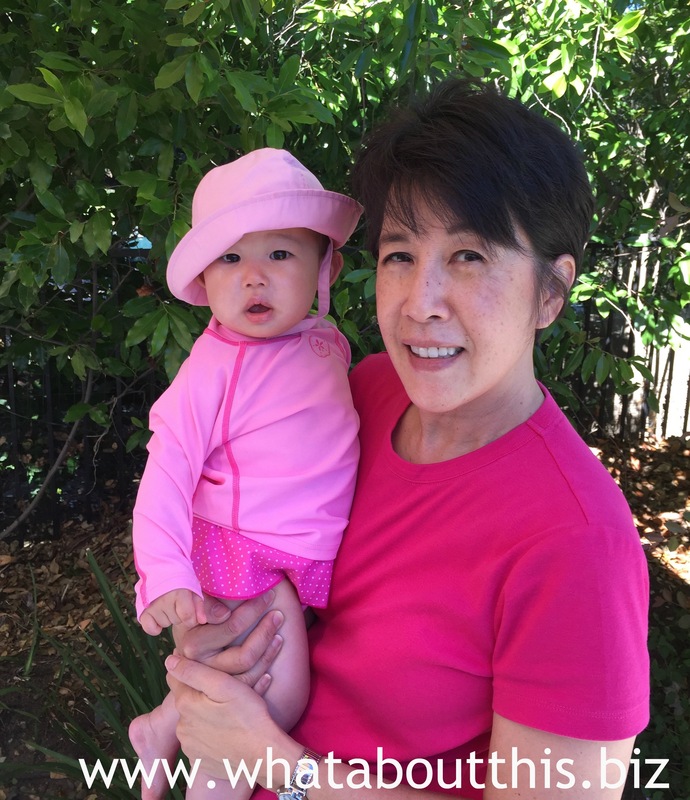 She laughs, dances, and “sings” to her favorite songs. There’s no doubt about it, the ukulele is a fun and happy-sounding instrument. Enjoy this humorous rendition of the Theme from Shaft, as performed by the talented Ukulele Orchestra of Great Britain. Resembling a drunk, my granddaughter Charlotte teeters back and forth on unsteady legs as she walks towards me. Deciding to carry the largest and heaviest toy in the room, she makes frequent balance adjustments as she plows her way through a minefield of toys on the floor. I smile at the scrunched-up-nose grin on her face; that happy grin appears during moments when she is most proud of herself. “Slow down little one,” I say to her, not wanting her to fall, but, in a grander sense, not wanting her to grow up too fast. Although she’s not quite a year old, it’s hard for me to remember what life was like before this precious bundle of joy blessed it. Some days I watch Charlotte for 15 hours straight, but I’m not complaining. I consider myself lucky that I’m physically able to do it and that my son and daughter-in-law trust me enough to care for their child. The act of complaining zaps the joy out of life, so stop complaining or at least do it less frequently. Read What It’s Like To Go Without Complaining For a Month and learn a few tips on how to complain less. Back in the “good ol’ days” before the invention of televisions, computers, and cell phones, kids would entertain themselves by coloring in their favorite coloring books. Remember the happy feeling you had after buying a new box of crayons and a new coloring book? Regain that happy and carefree feeling of being lost in art as you color away your day’s stress. 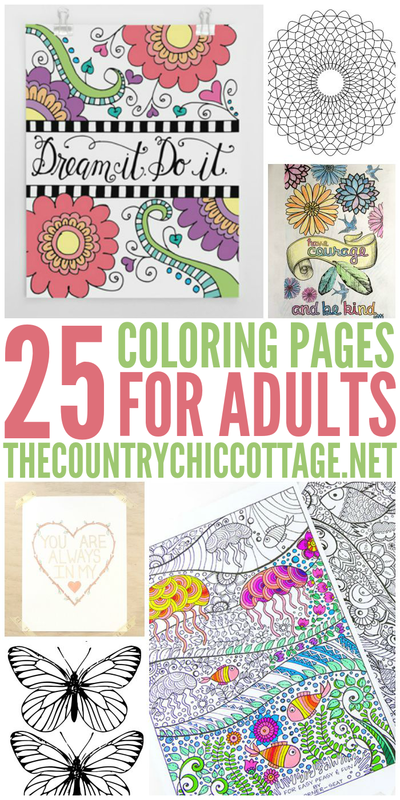 Check out The Country Chic Cottage’s list of free coloring pages. 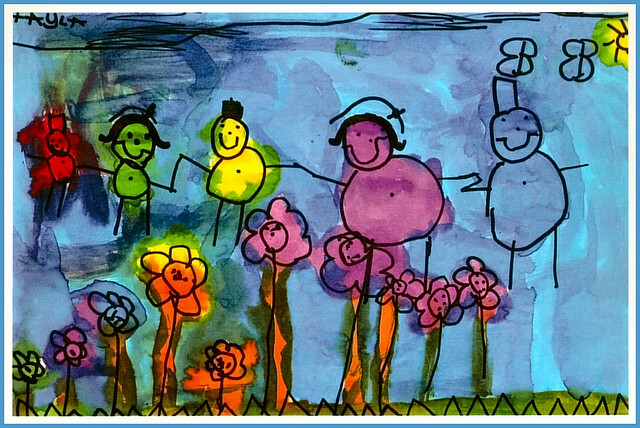 Coloring is not just for kids! Vacations are over. It’s back to school or back to work we go. And that usually means back to routines. Break the monotony of bag lunches by taking out unappetizing sandwiches and substituting tantalizing salads. Better yet, make the salads ahead of time in a jar and the next morning grab a jar and go. 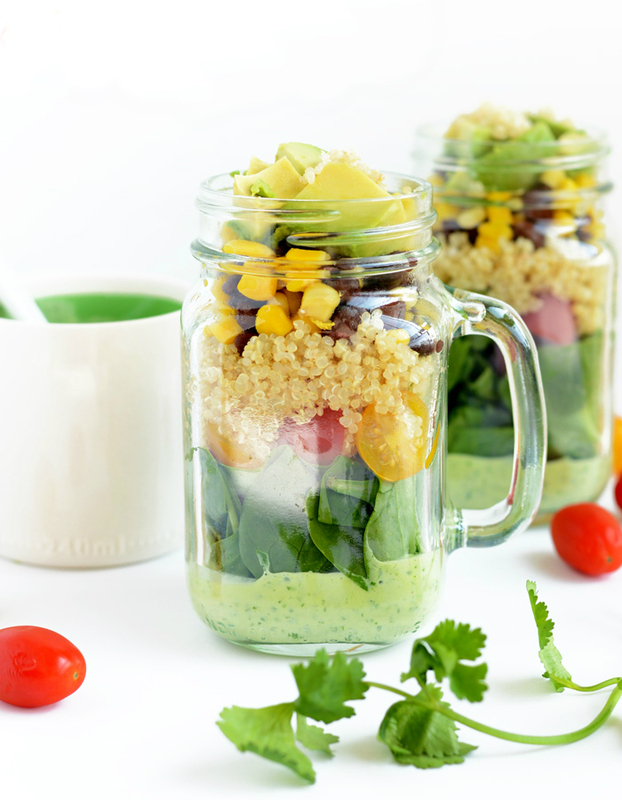 These 20 Mason Jar Salads to Pack for Lunch will give you a few recipe ideas for next week. Baby Charlotte is going swimming. Fun in the sun and water involves planning and responsibility. Gone are the days when we could just grab a towel and go. 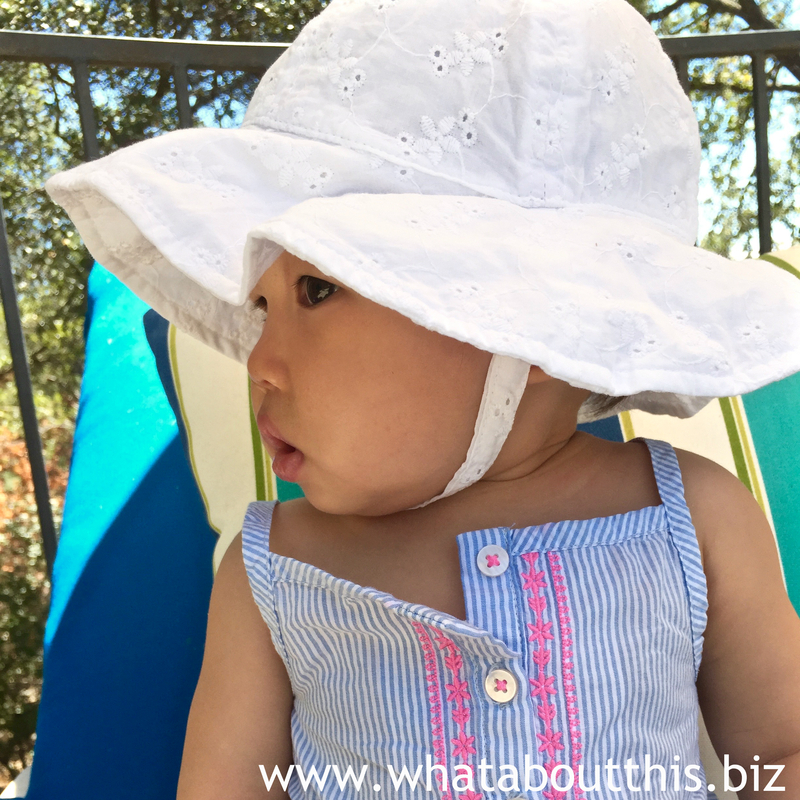 Experience provides us with the “why and when” and technology provides us with the “what and how.” Swimsuit? Check. Hat? Check. Sunscreen? Check. Rash guard? Check. Sunglasses? Check. Reusable swim diaper? Absolutely! Enjoy cooling off at the pool, lake, river, or ocean, but be responsible for yourself and the Earth. #1 – How Long Until It’s Gone? The pollution of our precious water goes on and on. 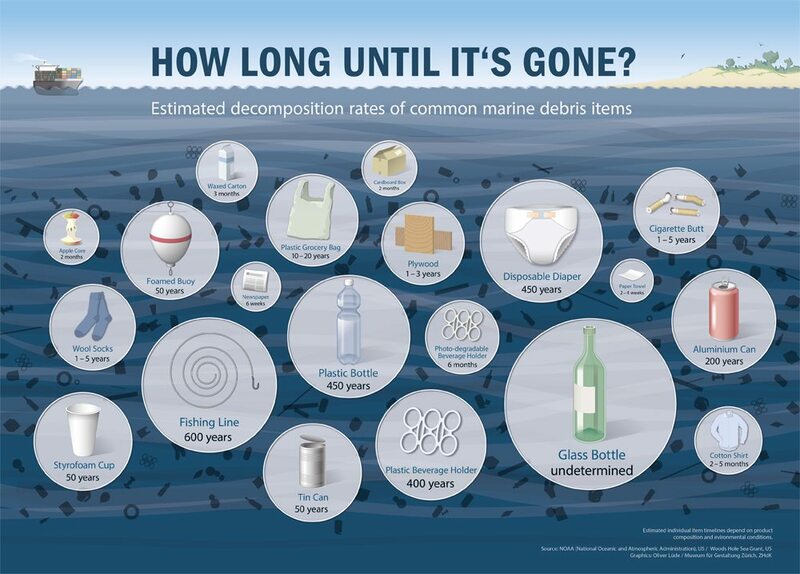 Take a look at the infographic (click on the image above to enlarge it to a readable size) and see how long it takes certain objects to decompose in water. The lifespan of some of the items may shock you. The next time you take a cruise or relax at a beach or on a boat, please think twice about leaving garbage in the water. During the drought here in California, it’s hard to condone any of the usual ways that kids play with water to cool off in the summer. 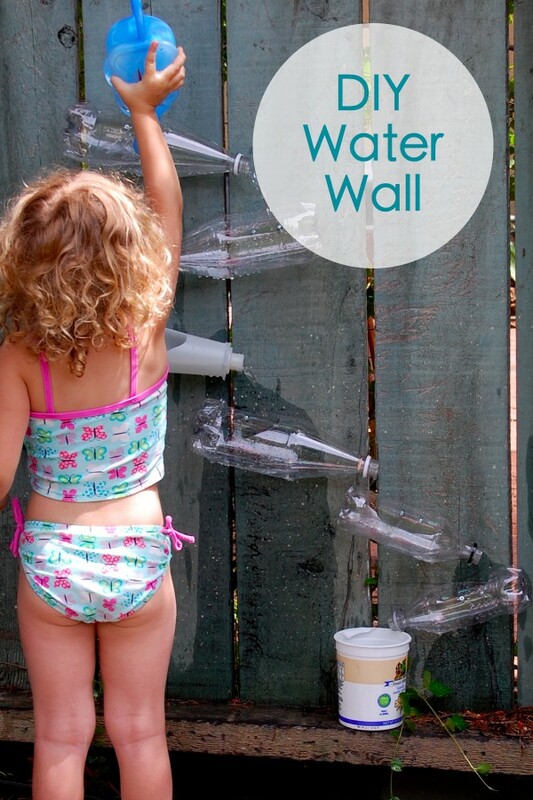 Building a water wall is a clever way that allows children to play with water, while recycling it. Watching this brief video will make you feel gratitude and respect for the gift of water on our beautiful planet. 1. In a food processor, purée strawberries with 1 tablespoon sugar. Transfer to a small bowl. 2. In processor, purée blueberries with 1 tablespoon sugar. 3. In another small bowl, whisk together yogurt and 2 tablespoons sugar. 4. Pour the 3 mixtures, alternating, into ten 3-ounce ice-pop molds, making 3 to 5 layers in each. 5. With a skewer or thin-bladed knife, swirl mixtures together in an up-and-down motion. 6. 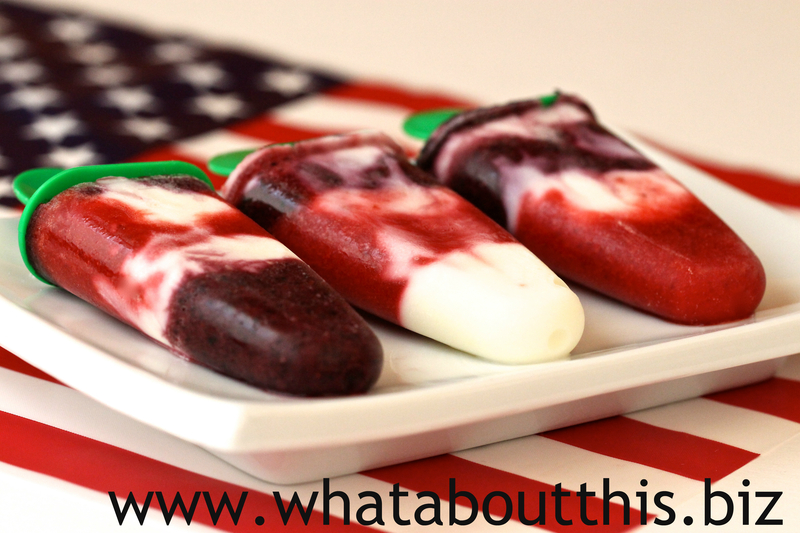 Insert ice-pop sticks and freeze until solid, 2½ to 3 hours (or up to 1 week). Cook’s Notes: for tropical pops, use 4 kiwis and 1 large mango (about 1/2 pound each) instead of the berries. 1. Taste your fruit before adding any sugar. There’s no reason to add extra sugar, if the fruit is already sweet. 2. I used nonfat plain yogurt, because that is what I had on hand. The pops turned out fine without the additional fat. 3. My ice pop molds are smaller, so I was able to get a dozen pops from one batch of recipe. 4. *These pops are great for teething babies, providing that your baby is able to eat dairy products. 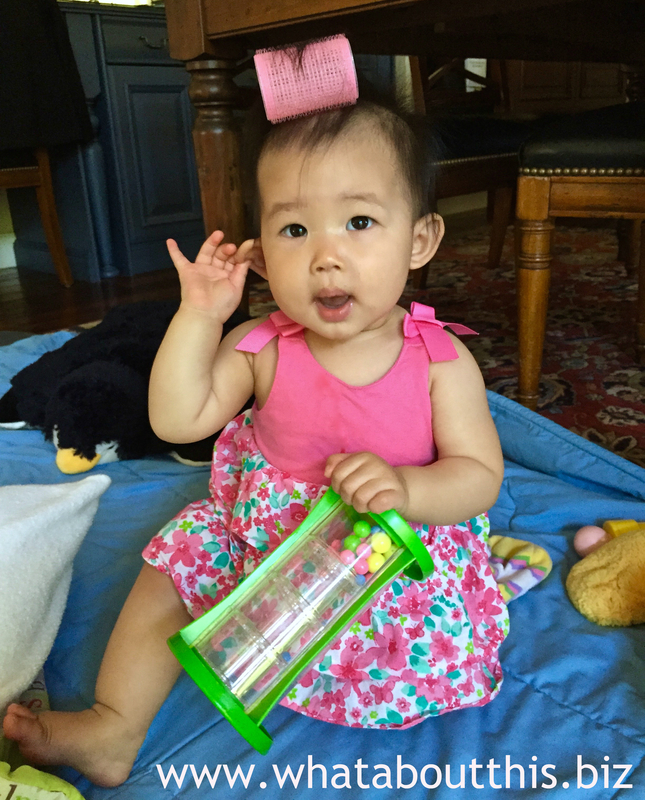 Even though she can’t walk yet, my granddaughter Charlotte loves to play fetch with me. 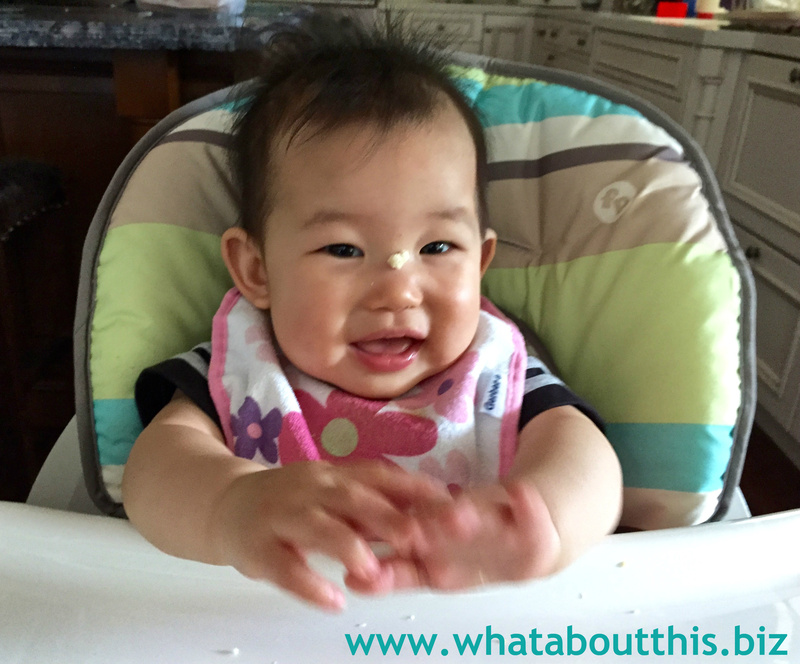 You know the game – baby throws objects from the high chair and you fetch them. After bending over for the umpteenth time, I looked up to see Charlotte grinning at me with a bit of cracker stuck between her eyes. In that moment, as I watched her search her tray for the missing piece of cracker, I realized more than ever that I want to live to be a ripe old age. Then Charlotte and I can share as many silly moments together as possible. Why should kids have all the fun? 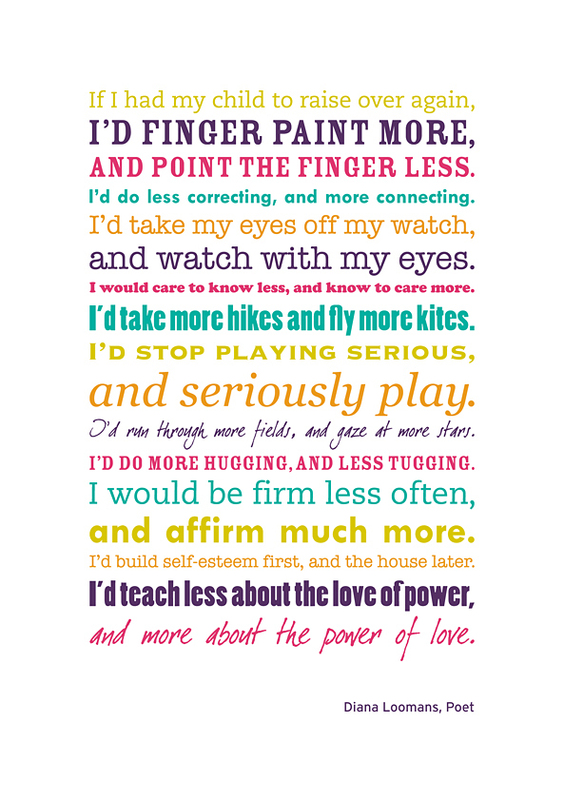 Read 33 Ways to Be Childlike Today and select a few things from the list to do. Reread one of your favorite childhood books, jump rope, be creative, sit cross-legged, or make a spontaneous playdate with friends. Sound like fun? The author of 21 Ideas for Upcycling Kid’s Toys places the blame for massive toy accumulation on grandparents. 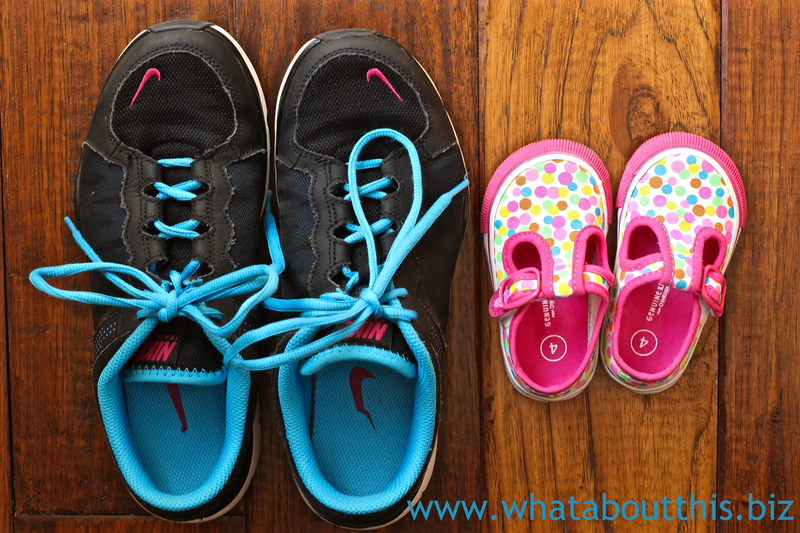 Hardly a true statement, but toy accumulation can be a problem in many households. The article presents clever ways to transform toys into objects with new uses. 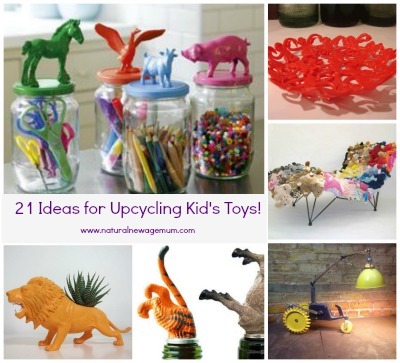 If upcycling doesn’t appeal to you, check out Eco-Friendly Disposal of Kids’ Toys and Electronics for helpful suggestions. 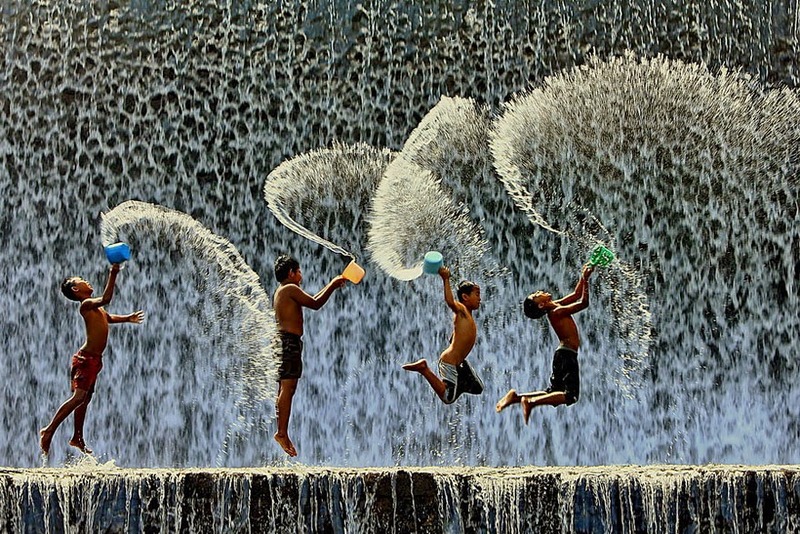 The magic of child’s play is captured in the collection of 30 Amazing Photos of Kids Playing Around the Globe.